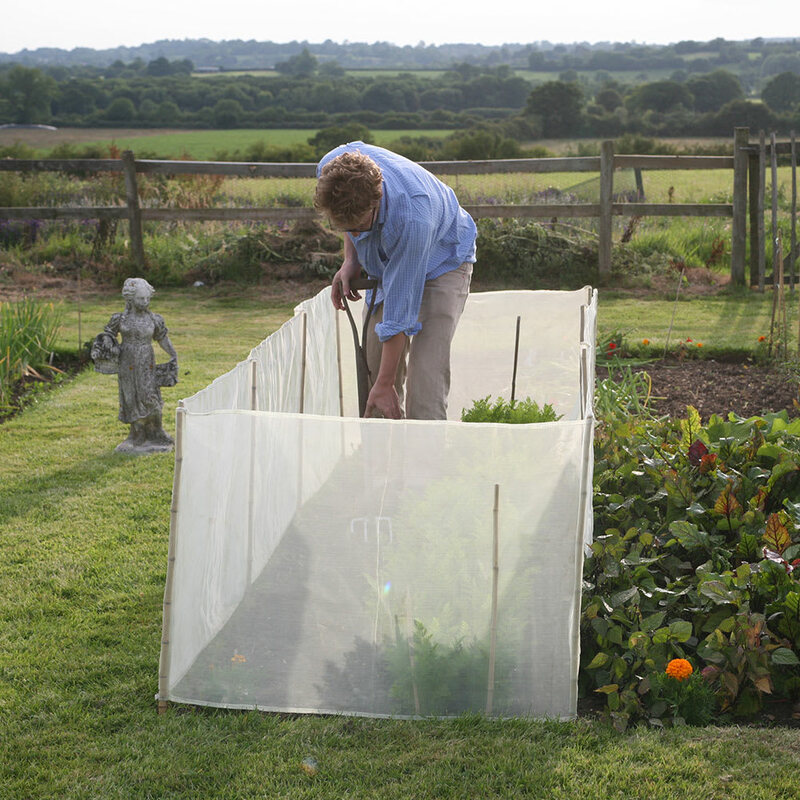 The unique Haxnicks Micromesh Pest and Wind Barrier is designed to keep pests such as carrot-fly, cats and even children off your crops whilst protecting them from wind. 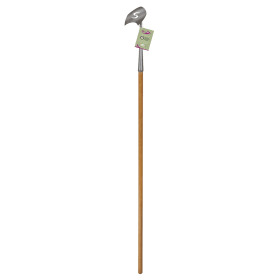 Length 4m (13ft") Height 70cm (2ft3"). 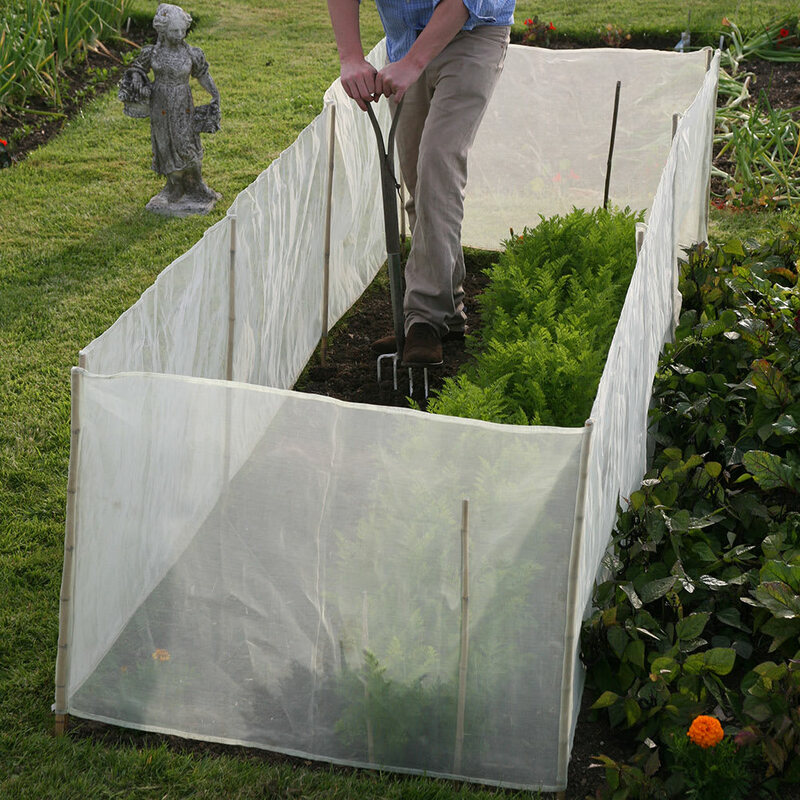 A tightly woven ultra-fine 0.6mm plant protection mesh with integral bamboo supports that can be adapted to surround various different shaped plots. 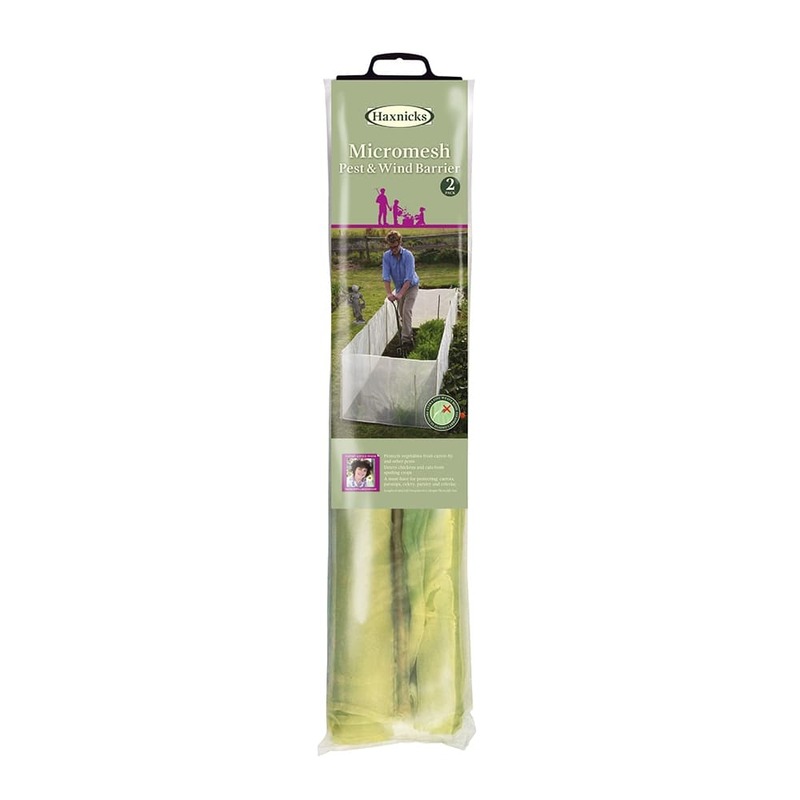 The sun can still shine on your crop, and you can still water and tend to it, but due to the Micromesh material it will have instant protection from pesky pets, harsh winds and low flying insects such as carrot-fly. 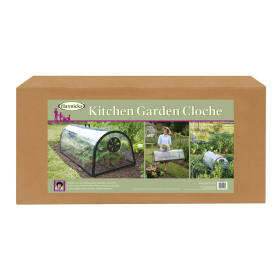 The Micromesh fabric is the finest gauge mesh available (0.6mm), and is used by millions of gardeners all over the world. It has proven to be highly effective as a Carrot-fly deterrent. 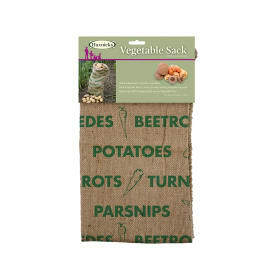 Helpful Haxnicks hint: To avoid carrot fly erect the Micromesh Pest and Wind barrier at the time of sowing, and on previously unaffected soil. Keeping Out the Easter Bunny and all his friends!